Bonnie is one of The Twisted Ones… the really twisted ones! 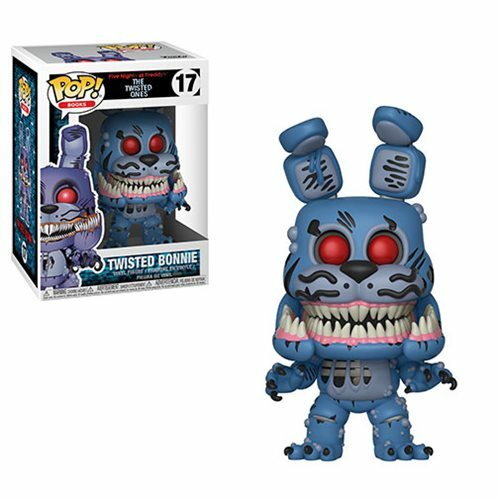 Inspired by the novel Five Nights at Freddy's: The Twisted Ones and the video game Five Nights at Freddy's: Sister Location, this stylized Five Nights at Freddy's Twisted Ones Twisted Bonnie Pop! Vinyl Figure measures about 2 1/2-inches tall. Collect all the Twisted Ones Mystery Minis (each sold separately)! Ages 3 and up.